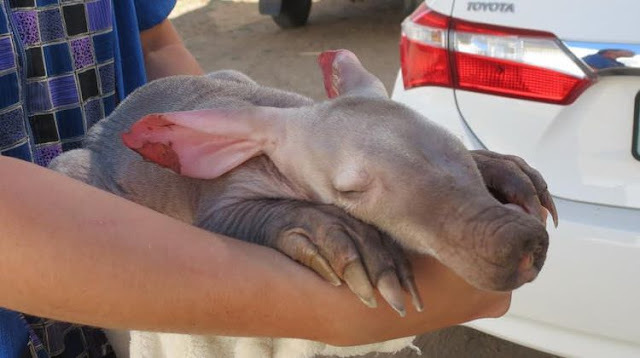 When a Namibian truck driver stumbled across a baby critter nestled against one of his tires, he sprung into action. 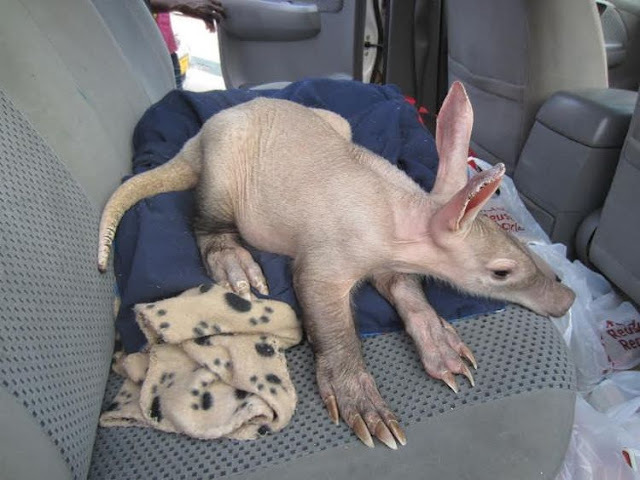 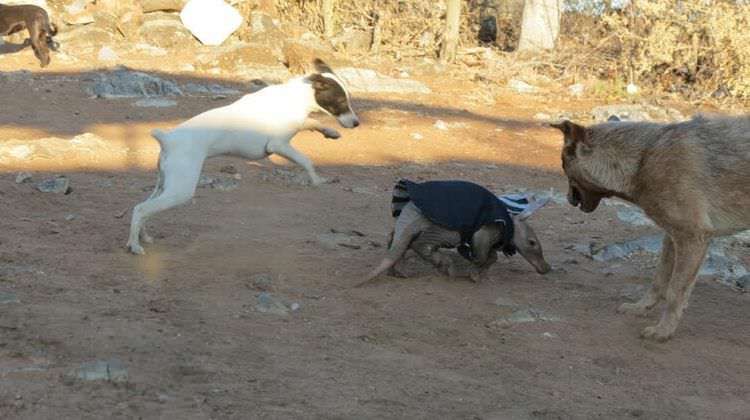 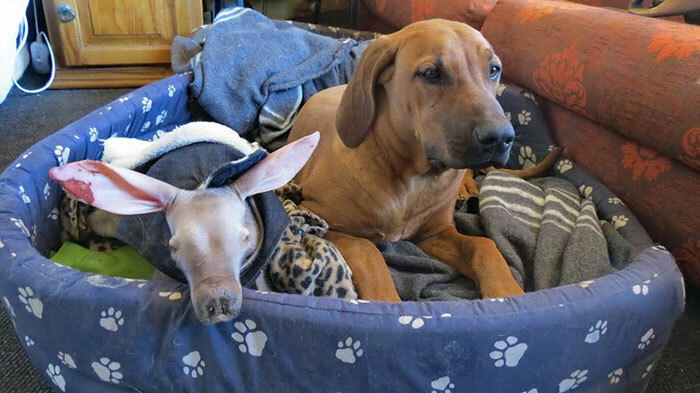 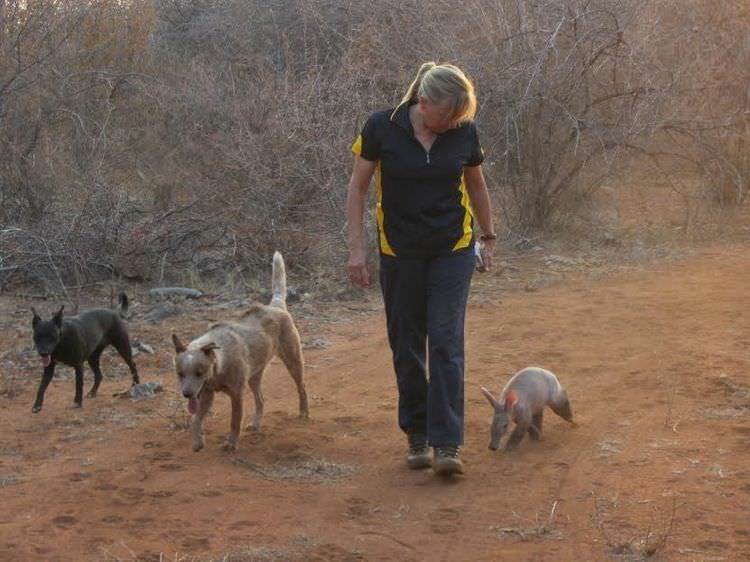 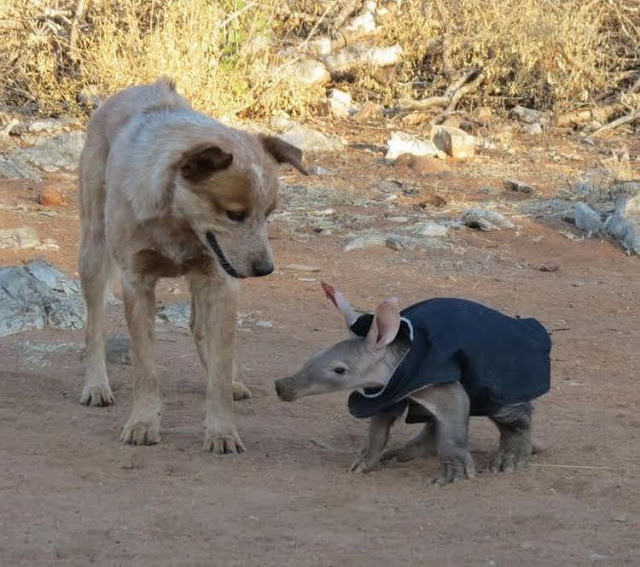 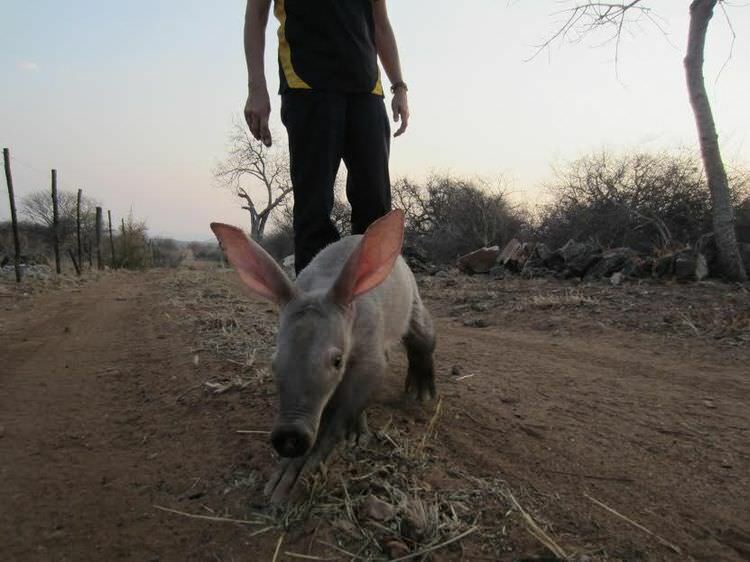 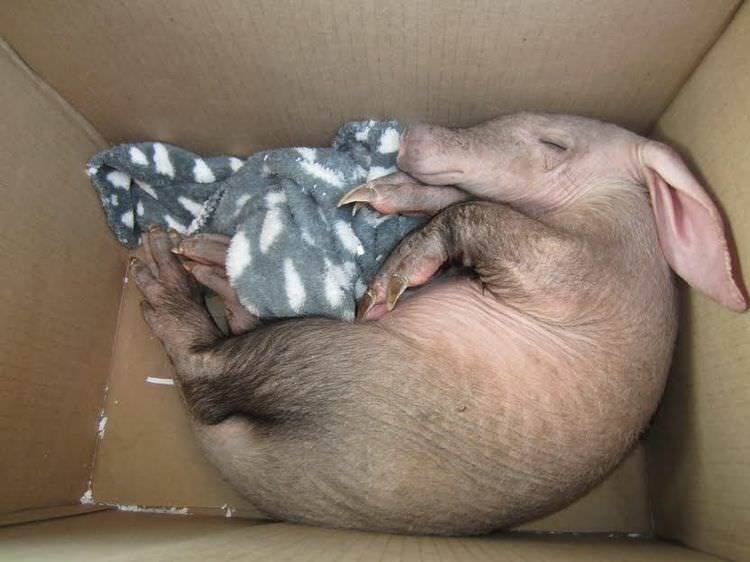 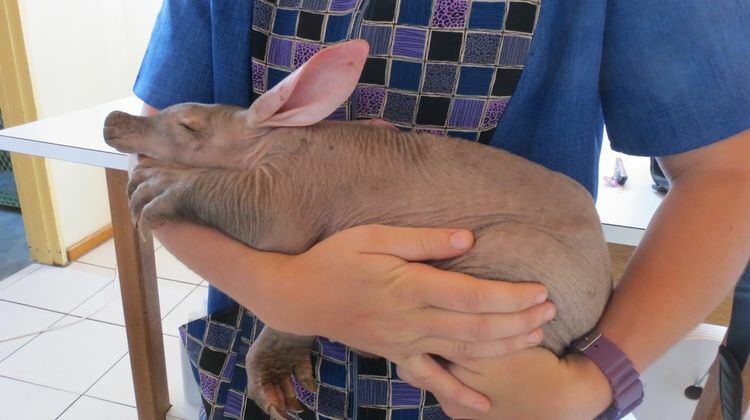 The baby creature turned out to be an aardvark and its mother was nowhere to be found. The man decided to bring it back with him to the truck company’s headquarters. 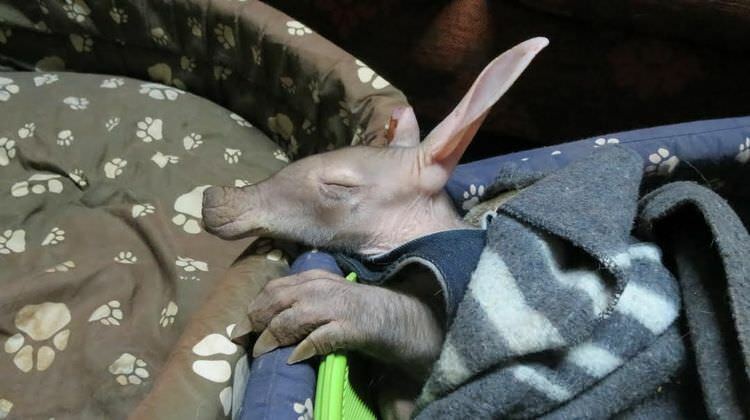 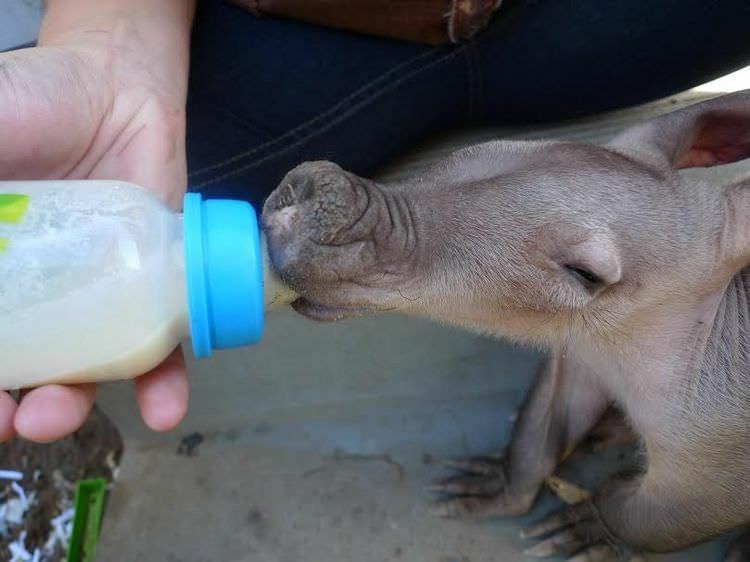 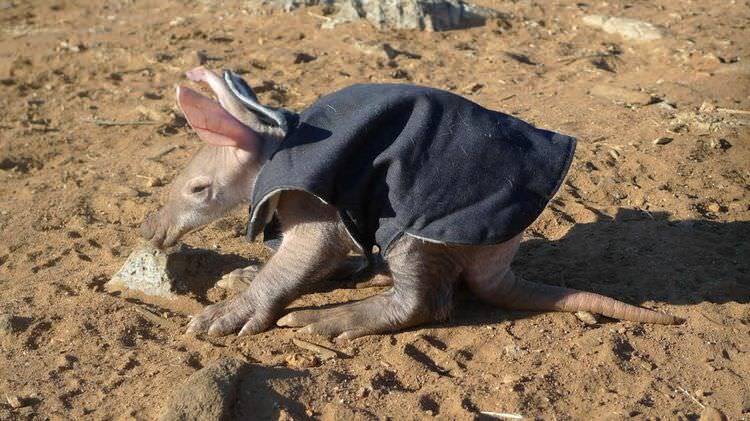 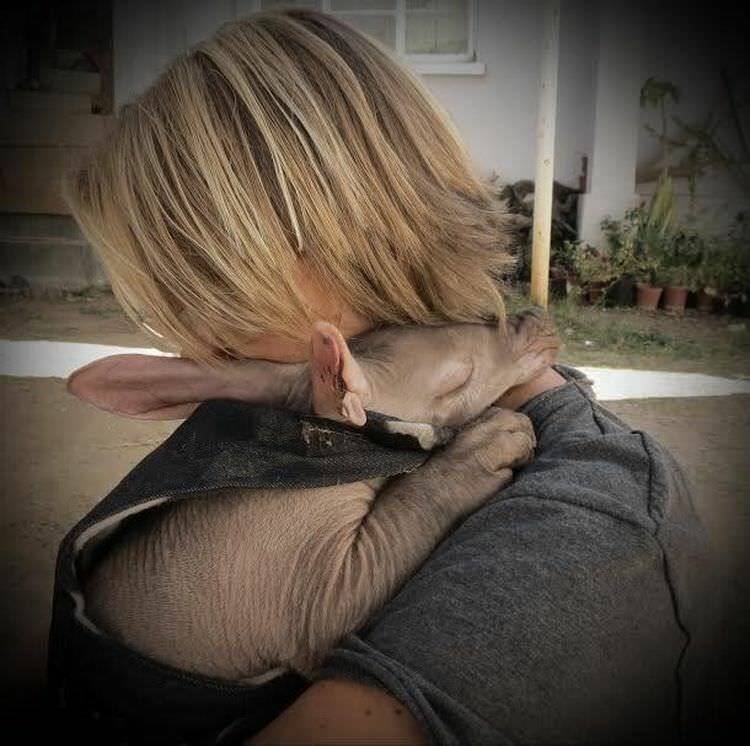 This little aardvark was named E.T. 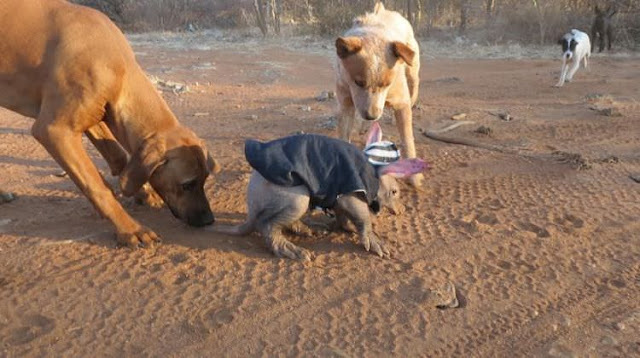 and raised with plenty of care, amidst a surprisingly accepting group of dogs. Once he was strong enough to live on his own, he was slowly reintegrated into the wild. Still, he comes back home every night to check on his first family.